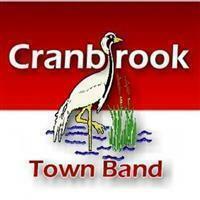 The Town Band is comprised of about 30 regular brass players who live in Cranbrook and the surrounding areas. The history of the Town band goes back to the 1920′s. It has enjoyed mixed fortunes over the years and the present band was re-formed in the 1960s. Since that time it has gradually grown in membership and the standard of playing has progressed steadily. Current membership includes people of many different ages and professions. Current membership includes people of many different ages and professions. The band enjoys playing a variety of music and has a wide repertoire. Concert programs often include many different musical styles:- TV/Film Themes, Jazz, Classical, Rock and pieces specifically written for brass band. Cranbrook Town Band is self supporting; it’s main income is obtained from concert performances throughout Kent & Sussex during the summer months. It does however take the time to support other organisations and has links with many charities, the British Legion and various churches. In addition the band does what it can to support music in schools and promote brass band music throughout the country.